Both destinations updated over 200 call center agents at online travel agencies (OTAs) Best Day, Price Travel and Hotelbeds. 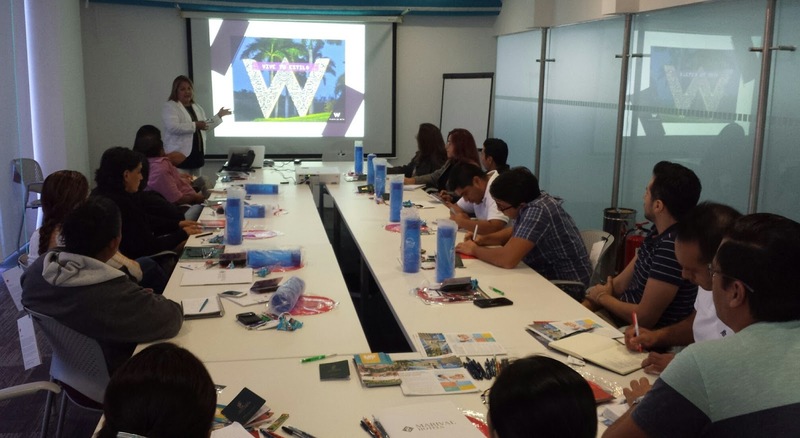 The joint promotional activities completed by the Riviera Nayarit Convention and Visitors Bureau (CVB) and the Puerto Vallarta Tourism Trust (Fidetur) included visits by the promotions team to Cancun, Quintana Roo, where they held seminars for call center agents. On September 21, 22 and 23 2016, online travel agencies Best Day, Price Travel and Hotelbeds received all the latest and most relevant news from the Riviera Nayarit and Puerto Vallarta in order to update mainly the Domestic Market. “These actions will be even more beneficial if we take into consideration the fact these online travel agencies supply various tour operators throughout Mexico, which then use their reservations sites to sell our destinations,” commented Marc Murphy, Managing Director for the Riviera Nayarit CVB. Approximately 15 regional hotels participated in the seminars, presenting their properties and all the services they provide. Both destinations also handed out promotional material including tourist guides and maps.